Nothing shows your message like custom-made apparel. 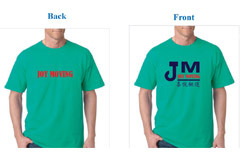 We have T-shirt, Polo Shirt, Outerwear, headwear and many more apparel choices. We will also design custom graphics to make it your own. Please visit our supplier’s website to see the full range of apparel products. Then contact us to place your order. Our clients love the mugs or bottles we offer because they are the perfect gift that also promote their business or organization. We have many styles and colors that will work with your budget and needs. 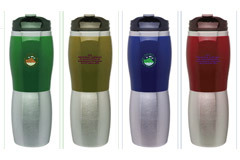 Please visit our supplier’s website to see the full range of mug & bottle products. Then contact us to place your order. We are highly experienced with banners in different sizes and various applications. Let us design and make beautiful and easy-to-install banners for your promotion events. 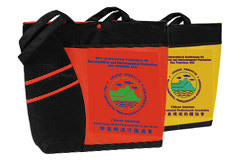 Please visit our supplier’s website to see the full range of bag. Then contact us to place your order. 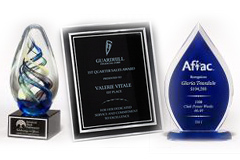 We offer various types of display that will work with many occasions. Our design will ensure a professional and high-quality look for the final product. 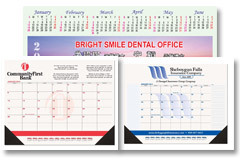 A custom made calendar will help with stay with your customer for the entire year to come. We have many sizes and styles to choose from. Custom designs will showcase your business information. 2018 Chinese style calendars are SOLD OUT! Thanks for our royal customers who ordered our calendars year after year and we have more new customers’ orders this year! 10% off for calendar orders before 7/31/2018 for year 2019 calendar orders. Deadline to order Chinese style 2019 calendars: 9/15/2018; American styles: No deadline. 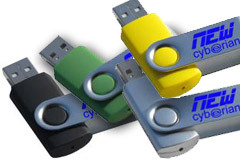 We have many other promotional items for you to choose from. No matter what your budget or occasion is, we can make the best recommendations to you to maximize the effects of your promotion.